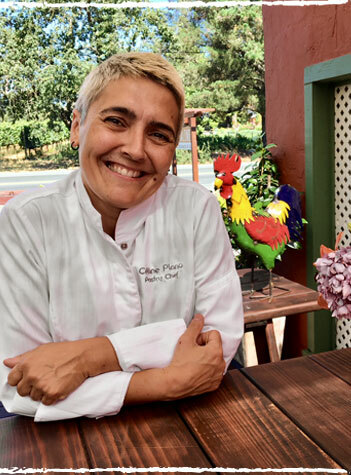 Born in Paris and raised in the Basque country of the southern France, Chef Celine embraced her passion for pastry first in her mother’s kitchen and, later, through her formal training, apprenticeship and diploma program. After many years in Michelin-starred restaurants and hotels in France, her life-path led her career to the U.S. and California for several prestigious hotel pastry chef posts with The Four Seasons, The Peninsula and, eventually, the Ritz-Carlton where she would first collaborate with Chef Didier. As Chef and Technical Advisor to Callebaut, the world’s largest premium chocolate manufacturer, she perfected the many groundbreaking creative techniques that she now brings to Pascaline.